I don’t typically do paper crafts with my cutter, but this project is an exception that turned out so cute! 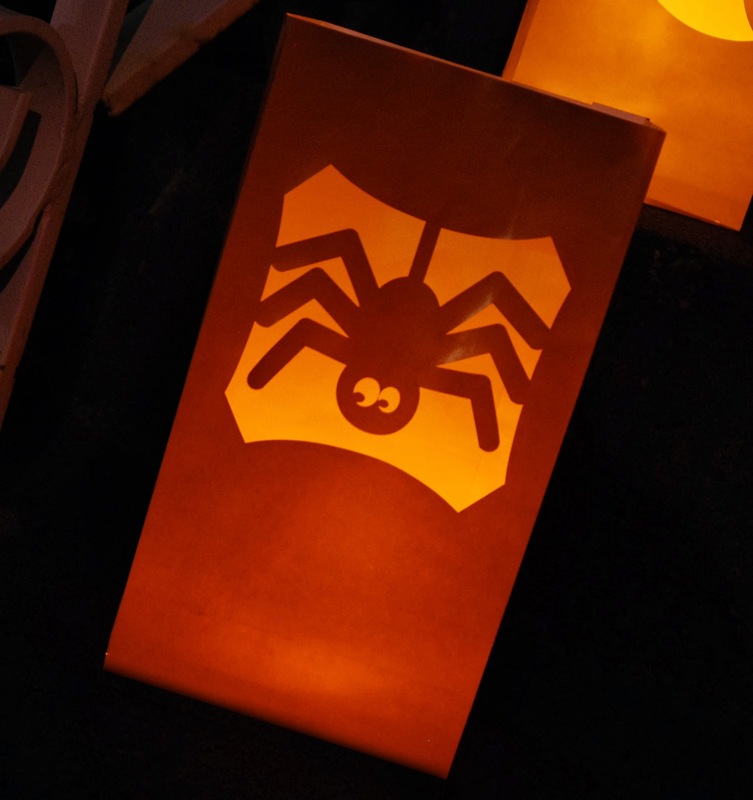 These luminaries were fun to design and make and they are the perfect addition to your outdoor Halloween decor! Open out the sides of the paper bag (use the creases that are already there). Find the seam of the bag and fold the bottom up on the same side. This will be the back of the luminary. 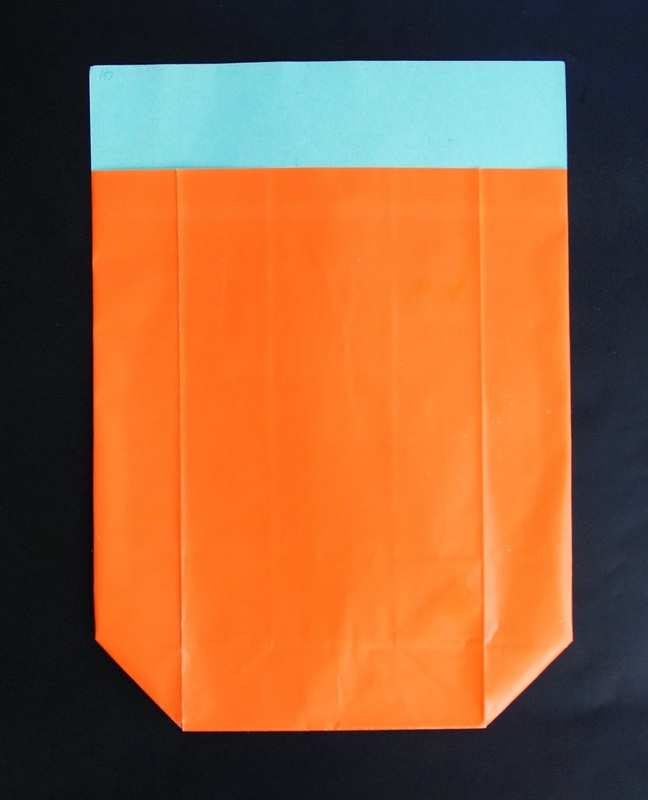 Cut a piece of cardstock that fits tightly inside the bag. 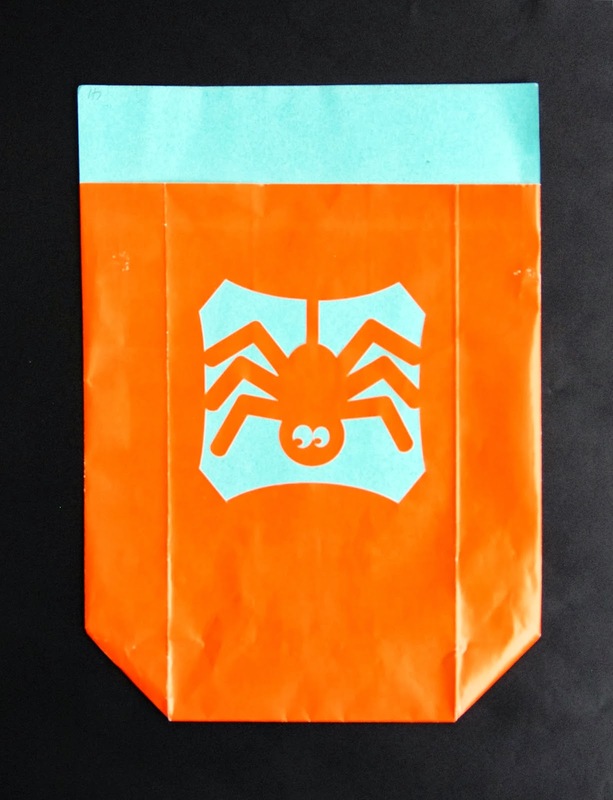 Apply a light coat of spray adhesive to the cardstock and then insert it inside the bag. Place the bag onto your sticky mat and use your digital cutter to cut out the design. Make sure you cut on the side without the seam. 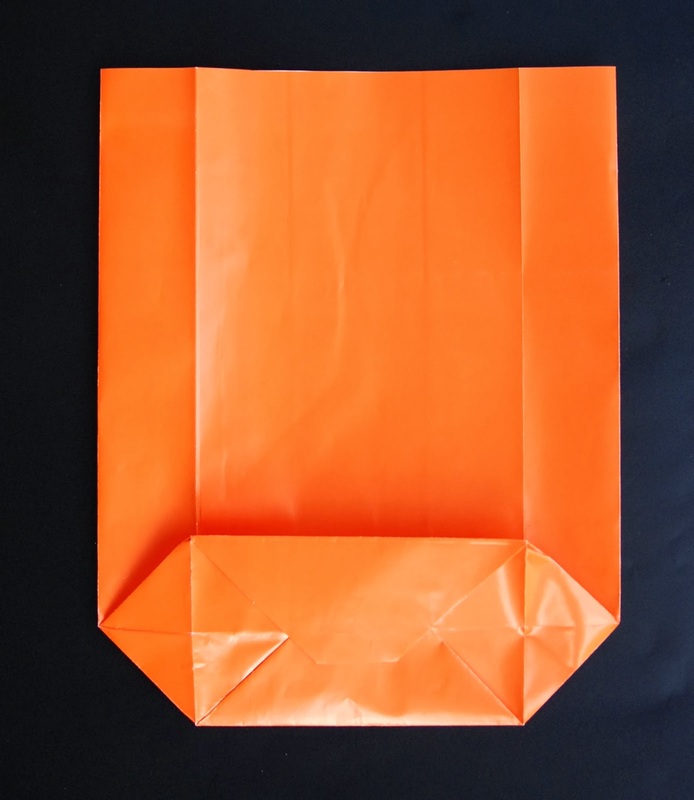 Remove the cutout pieces and carefully pull the bag off the cardstock. 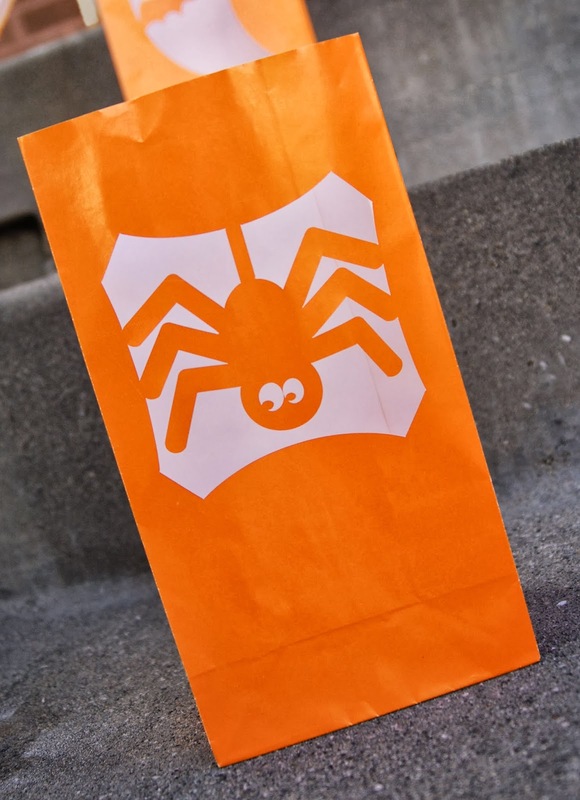 If you don’t have a digital cutter, you can trace a design on the bag and cut it out with a craft knife. Add some sand or rocks to weigh the bag down. Add a candle to create a spooky glow (I used battery operated candles). 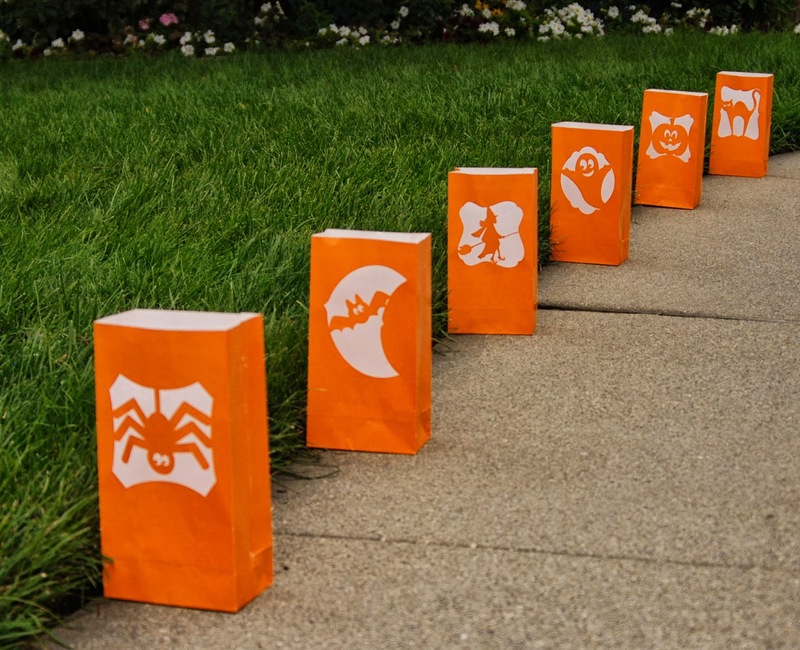 Luminaries look great along sidewalks and stairs. And, they look so cute glowing in the dark! 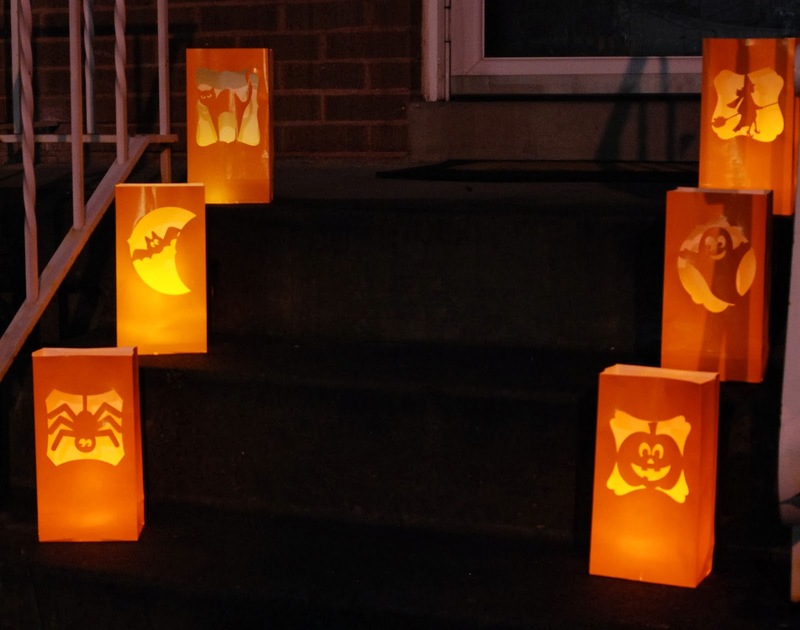 I LOVE luminaries around holidays and these are perfect!! They certainly welcome trick or treaters or party goers. Definitely making these! Thanks for sharing!! These are super cute! I'm here from "Catch a Glimpse". These are so adorable! I am new to my digital cutter, and I was wondering if you fed the bag + cardstock through together? I would also be curious to know the settings used. Thank you SO much!